Clear Acrylic rod has unique physical properties and performance characteristics. It weighs half as much as glass, yet is equal to glass in clarity and is up to 10 times more impact resistant. 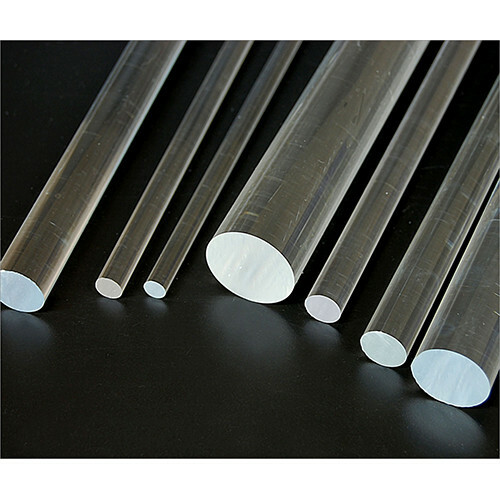 Clear Acrylic rod has outstanding weatherability and formability, and can be formed into a variety of shapes making it ideally suitable for many end users such as illuminated signs, point of sale displays, furniture, skylights and architectural glazing. FREE cutting service*: Just tell us how you want it cut when you checkout in the special instructions box. Minimum width of cut is 75mm. Saw width is 3mm. Tolerance +/-1mm. Limited to 4 cuts per panel.